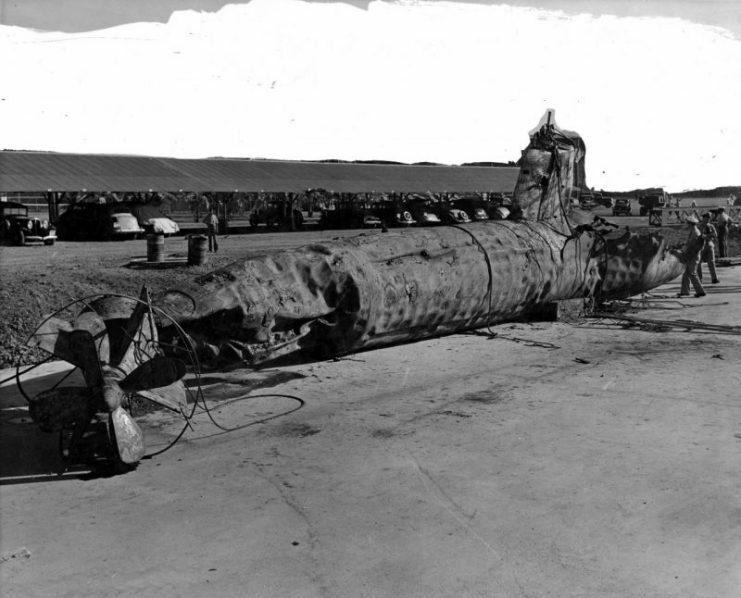 This is Part 1 of a three-part series about the Japanese midget submarine attack on Pearl Harbor during World War II. 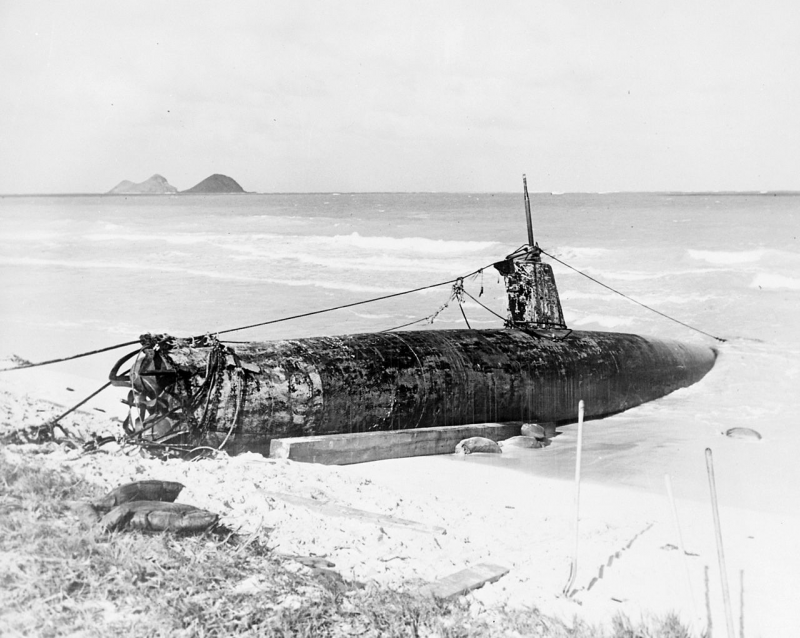 Part 1 gives background on the submarines and their mission, Part 2 discusses their actions and the American reactions during the attack, and Part 3 describes the misadventures of the submarine officer who became America’s first Japanese POW, as well as where each midget sub was found in later years. 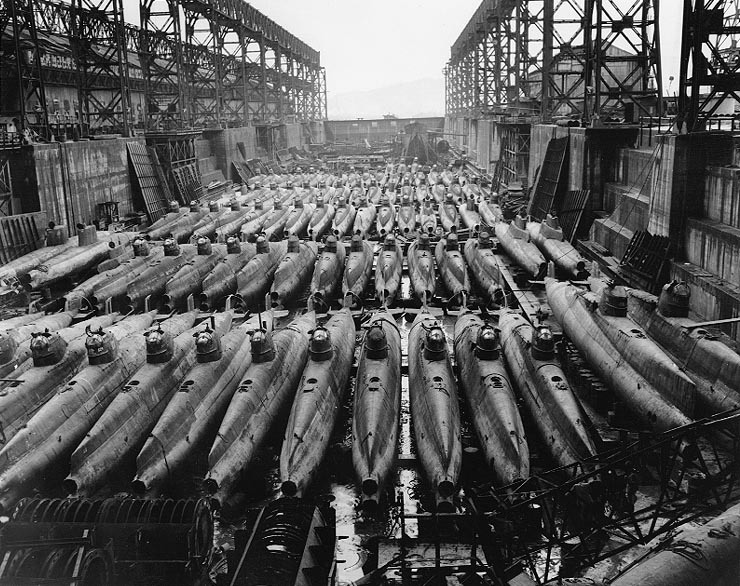 Eight months later, ten of those men and their five midget submarines would participate in an event that would drastically affect the course of World War II. 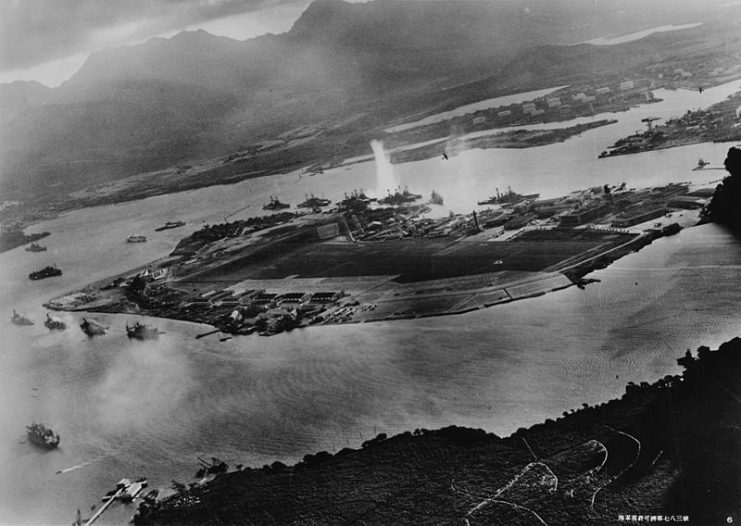 Japanese military officials had decided to execute a surprise attack against the U.S. Pacific Fleet stationed at Pearl Harbor, hoping to cripple or destroy it before the U.S. declared war. To accomplish this, the Japanese planned a massive air strike and, almost as an afterthought, a midget submarine attack. The Japanese expected the midget submarines to sneak into the harbor and aid the air attack, but the mission failed because the midgets were detected before the air strike, did not sink any ships, and were all lost. 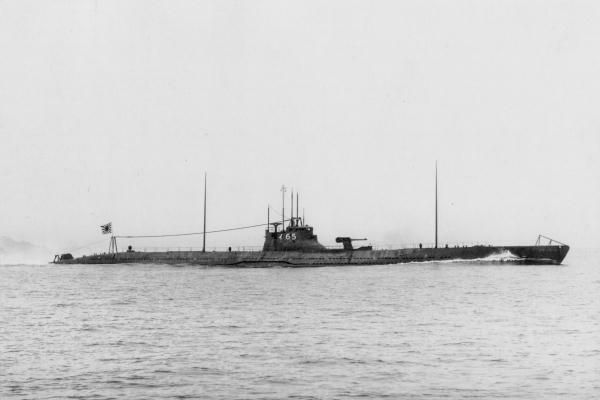 When Japan’s military officials considered war with the United States, they believed that full-sized submarines were too slow and their firepower too limited to be useful in a long-range war against American forces, but the development of the Type A Kō-hyōteki-class speedy midget submarine opened up new possibilities. The first two midgets had been built in 1934 under the name “Metal Fitting, Type A” and successfully tested as “A-targets” to maintain secrecy. Production increased in the following years, with the components made in a private shipyard and then transported to an isolated island for assembly. 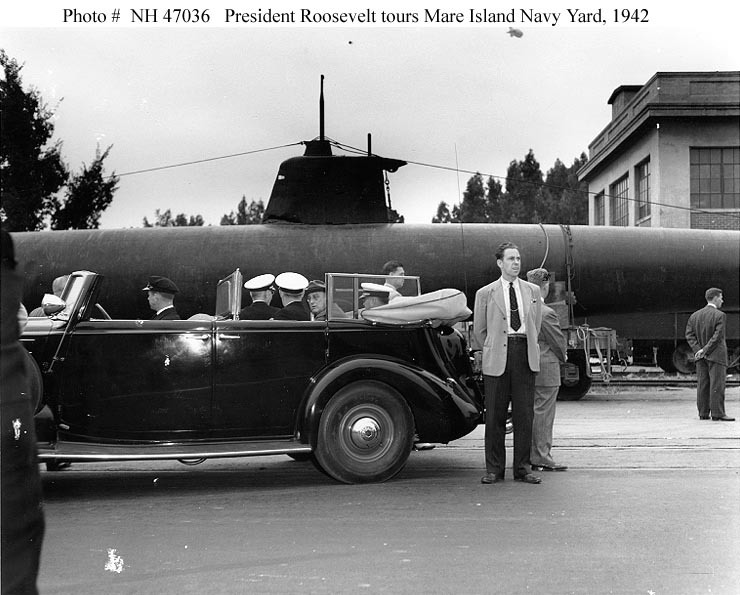 In the summer of 1941, twenty-four specifically selected submariners began training with them at another remote island base where security was so tight, the few inhabitants were not permitted to own cameras. The Japanese concealed the midget submarine program so successfully that many in the Imperial Navy itself remained under the impression that the tube-shaped objects were gunnery targets. But far from being mere targets, the objects were new weapons to be taken seriously. Approximately seventy-eight feet long by six feet wide and powered by an electric motor, each streamlined little submarine required only two men to operate it and could attain a speed of twenty-four knots when surfaced. Their firepower consisted of two torpedoes, each eighteen inches in diameter and containing half a ton of explosives. Despite that, officials decided to incorporate five midgets into the Pearl Harbor attack plans—high pressure, “trial by fire” combat testing indeed. They knew that it was nearly impossible for a full-sized submarine to enter Pearl Harbor undetected, but perhaps the midgets could manage the incredibly difficult task. Japanese spies had reported that the interior of the harbor could not be viewed from the outside, and that even in daylight the entrance itself could only be seen from within several miles of it. At night, the midgets would have to surface within that zone of visibility and use their periscopes to get a navigational fix on landmarks to pinpoint the harbor entrance. To further complicate this aspect of the mission, the Americans had designated the area outside the harbor a Defensive Sea Area and constantly patrolled it. The Japanese could only speculate whether additional obstacles such as nets and mines lay along the midgets’ route. Why then were the midget submarines included in the Pearl Harbor attack plans? 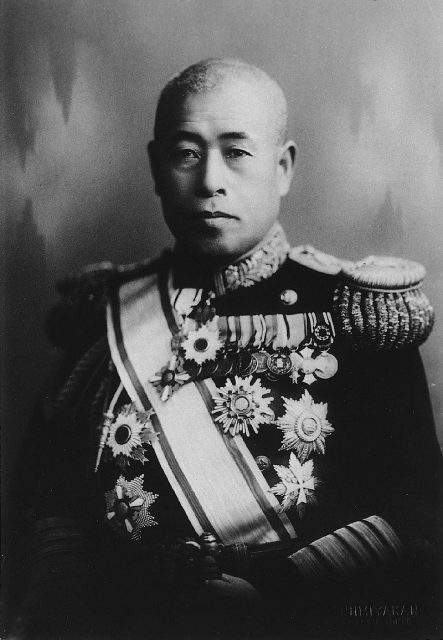 Admiral Yamamoto, commander-in-chief of the Combined Fleet, finally gave the idea his tentative approval because other Japanese military officials believed that a submarine attack would enhance the cumulative damage of the air assault. 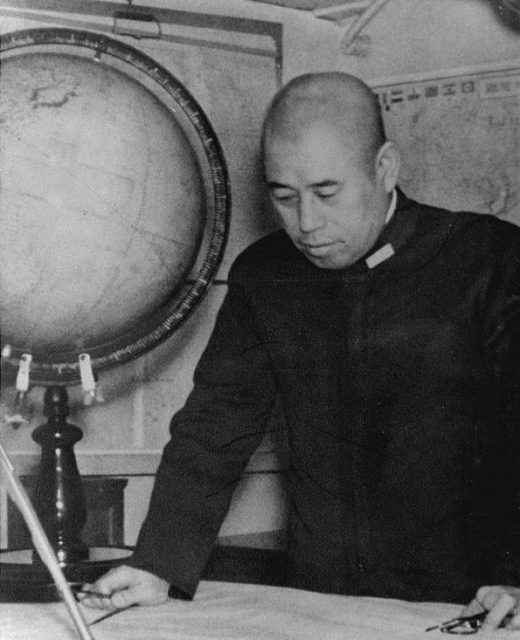 Rear Admiral Hisashi Mito noted later in an interview that the submarines were also considered “double insurance” in case the air attack should fail. 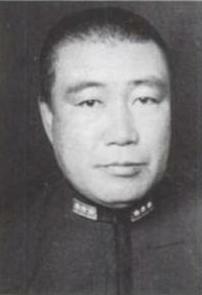 Admiral Nagumo, who would command the Pearl Harbor task force, and Mitsuo Fuchida, the leader of the pilots, strongly disagreed. They were certain that the submarines would give away the surprise by either taking premature action or being spotted before the attack. Despite their objections, the submarine plans went ahead. 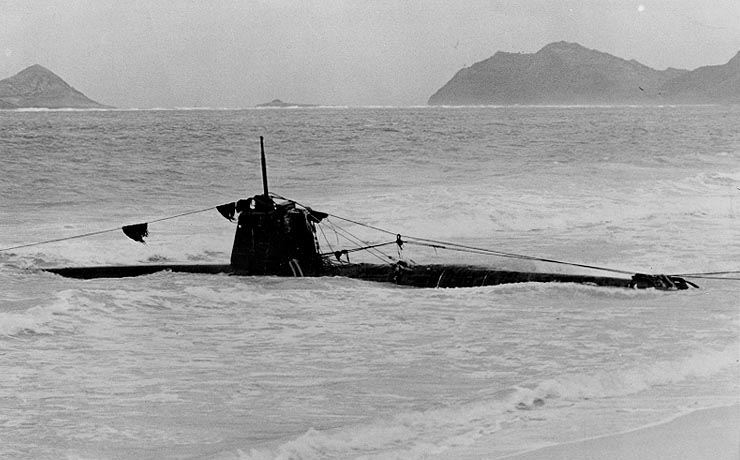 The Japanese modified five I-class submarines of Captain Hanku Sasaki’s First Submarine Division so that each “mother sub” could carry one midget piggy-back style, strapped to its deck behind the conning tower. Sasaki was given little notice of what was going on, but once he found out he immediately joined Nagumo and Fuchida in disapproval of the idea. Sasaki felt that it was unwise to make hasty changes to equipment and put it to use without taking the time to test it fully. In fact, the first trial run with a mother submarine carrying a midget resulted in damage to the midget, hardly a promising beginning. Up until mid-November, the midgets’ inclusion in the attack was still tentative and the submarine attack plan itself changed several times, but at last the orders were finalized. The midgets were to enter the harbor at night, hide until the attack began, and then strike between the first and second aircraft waves. 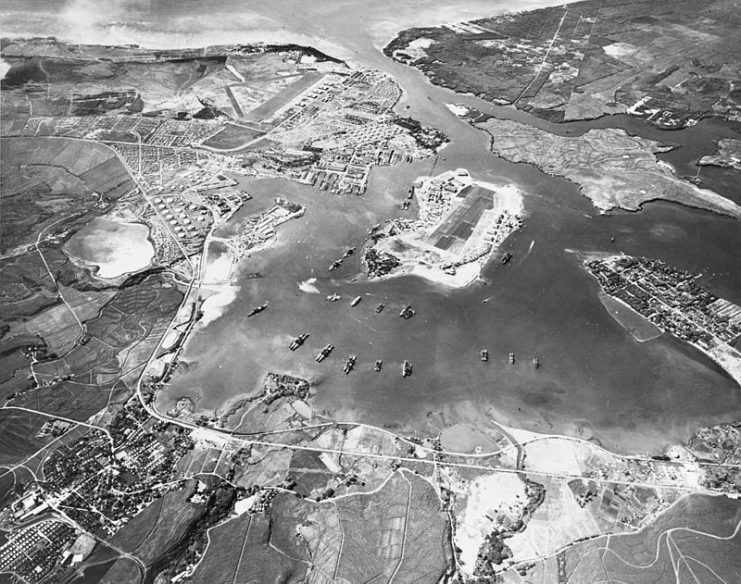 They would circle counterclockwise around Ford Island inside the harbor, torpedo a battleship or carrier along the way, and quickly make their escape. Since the mother submarines would be free to operate on their own after releasing the midgets, their role during the attack was to lie in wait outside the harbor and torpedo any ships that came out. After the mission was complete, the mother submarines would collect the midgets at a rendezvous near Lanai Island. None of the ten midget submariners chosen to participate at Pearl Harbor expected to reach Lanai. From the beginning they had considered themselves “members of a suicide squadron” who had told Vice Admiral Shimizu, commander-in-chief of the Japanese submarine forces, that “maximum damage to the enemy is what counts, not our survival,” according to Ensign Kazuo Sakamaki, skipper of the midget HA-19. As they waited outside Pearl Harbor on the evening of December 6, 1941, they wrote farewell letters to their families and said formal goodbyes to their comrades aboard the mother submarines. At last, the hour for departure arrived. The first midget left its mother sub around 1:00 AM, and the others followed at intervals until 3:33. HA-19, crewed by Sakamaki and Warrant Officer Kiyoshi Inagaki, launched with a broken gyrocompass. Inagaki’s attempts to repair it the previous day had been unsuccessful. Sakamaki stood firm in his intention to carry on anyway. The air strike was scheduled to begin shortly before 8:00, but dawn would come by 6:00, giving all the midget submarines only a few hours in which to get inside the harbor.